Then there's this incredible design, full of richness and bridal style. A light pink and sage floral print has this off-the-shoulder design full of romance and fairy-tale flavoring. Stun guests and your groom in a crown that's both couture and spiraled with metallic shades. Or, go with a Mexican-inspired, bohemian design that's been handmade for your destination affair! 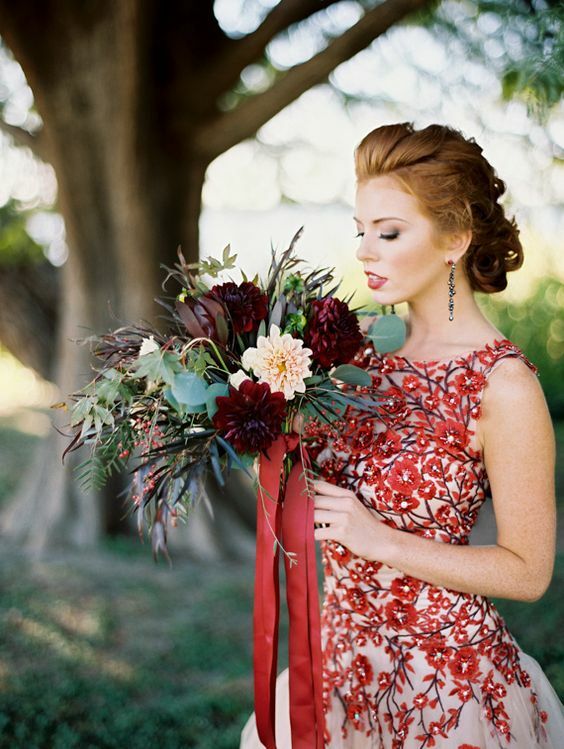 Some red and cream can be both bridal and made a powerful statement on your big day. Or you can be loud and proud with some mint and lavender swirls! 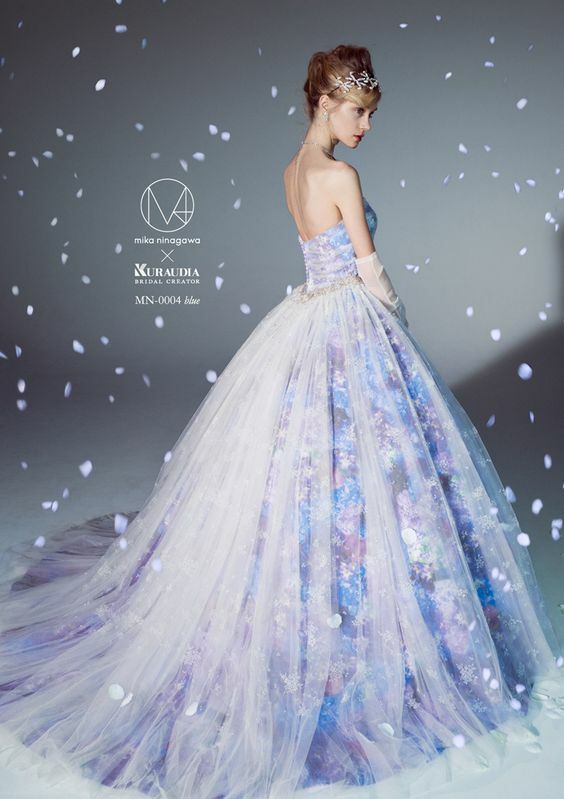 Then there's this galaxy-dipped wedding gown that we've fallen in love with. 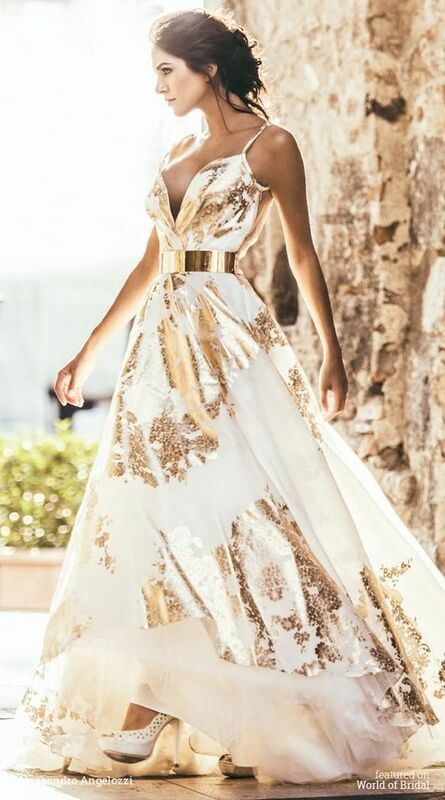 Of course a golden printed cream-colored wedding gown could be the right move to make. A high-low hemlines and a variety of pastels rounds our this beauty. And finally, we're swooning for the sprinkles of colors that surround this bridal gown.